MORE THAN A MALL, IT’S A WEALTH OF WONDERS. Singapore’s largest fountain makes up the epicentre of Suntec City, surrounded by all the elements you need to have a great time in Singapore. Shop a wide array of local and international labels, and dine to your heart’s content. The city is awash with endless possibilities of retail, dining and entertainment. 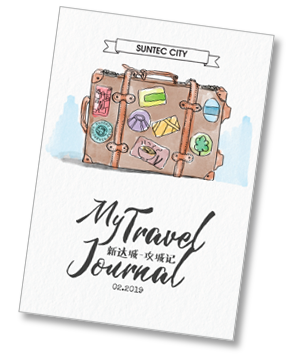 Exploring Suntec City is now a breeze with our map, recommended local delights, shopping guide and more are available at your fingertips! Grab a copy of our latest My Travel Journal at any Customer Service Counters or Click here to view the e-copy! 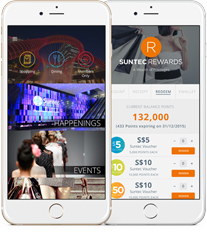 Spend $150* and receive $15 Suntec City voucher. Alipay users will only need to spend $120* to redeem. *Limited to one redemption per shopper per day. Limited to 3 same-day receipts per redemption. While stocks last. Visit our Customer Service Counters for more information.